In southern Honduras in the town of El Resbalozo, Pastor Aquiles Nunez and the members of the Getsemani Church occasionally saw Gisela and her son Alberto attend their Bible studies. However, Gisela’s husband Mario had not attended. 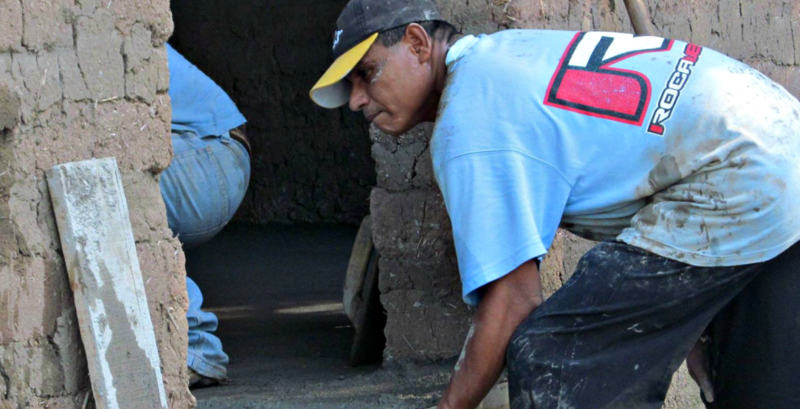 When Pastor Nunez observed that this family was building a mud block home, he and his church partnered with HOPE Coffee to provide a new concrete floor for this family’s home. During the preparation and pouring of the floor, Mario worked side by side with the pastor and several people from the church. Please pray for this family that they may come to trust Christ.